1) We have designed a more attractive carton. 2) Have done Bar Coding of the boxes to automate inventory control and tracking. 3) Have put new stickers distinguishing the grade and pack size from a distance. 4) Also, we are working on a printing technique that keeps carton cool from inside. 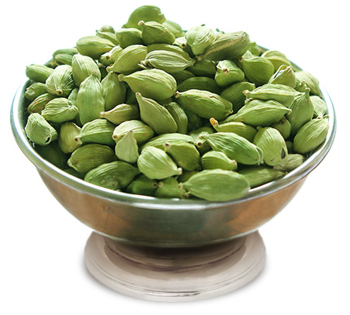 There are spices, and then there is the king of them all – Cardamoms. The exotic and fresh aromas, the invigorating flavour, and the uncompromising richness, all come together to give Cardamom its unique identity. Bringing to the Gulf the finest sourced cardamoms, from the best plantations of South India is the biggest name in the business – Emperor Akbar. Handpicked under the watchful eyes of the experts, these cardamoms are specially packed with a freshness seal to ensure aroma retention, and the natural green colour. Cardamom has for long been a symbol of royalty and luxury, and what better than bringing it to the land of royalty – the Gulf. Hence, Emperor Akbar Cardamom ventures into the Gulf Food festival, to give all its patrons the aromas of true luxury. Get enchanted, only to realize why it is duly titled ‘The king of spices’.